Heartworm in dogs is a serious condition caused by an internal parasite that’s transmitted by mosquitoes. 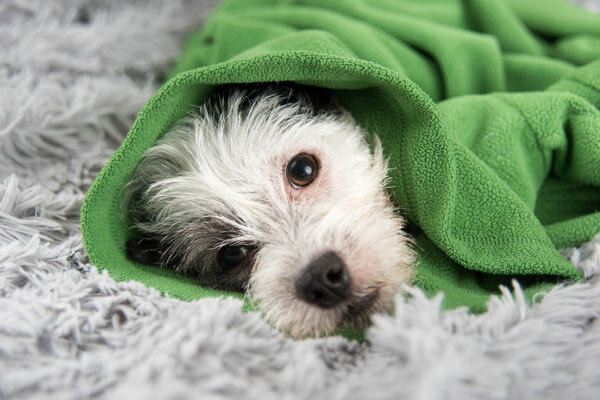 After a mosquito bites your dog, heartworm microfilaria (baby worms) pass into the bloodstream, where they eventually mature into larvae, which will grow into adult heartworms. Infected dogs can have hundreds of these worms in their heart, lungs and arteries. What dogs are at risk for heartworm disease? Unfortunately, heartworm can affect any and all dogs around the United States. Photography by Anna Hoychuk / Shutterstock. Heartworms are found anywhere mosquitoes are found. In the U.S., the parasite has been identified in all 50 states and Puerto Rico. For this reason, all dogs, regardless of where they live, should be on heartworm prevention. How is heartworm in dogs diagnosed? Heartworms are diagnosed with a simple blood test. How is heartworm in dogs treated? How do you prevent heartworm in dogs? Preventing heartworm is easy with just a monthly chewable pill, spot-on topical medication or a six-month injection (given by your vet), but despite the plethora of preventive options, many dogs still aren’t protected. “It’s as simple as giving a preventive once a month and yet people often fail to do that,” Dr. Ward says. “We get busy, have a family to take care of and a job to maintain, and so we forget the dog’s monthly heartworm preventive. I think cost is a barrier — even though it’s relatively inexpensive, it’s still an additional cost that you have to incur.” The good news is, many affordable and effective generic heartworm preventives are available. Are heartworm preventatives safe for dogs? What about ivermectin and heartworm? Tell us: Has your dog ever experienced heartworm? Thumbnail: Photography ©AmyDreves | Thinkstock. The post Heartworm in Dogs — Diagnosis, Treatment and Prevention appeared first on Dogster.